Gone are the days of relegating Rosé to summer months and warm-weather, patio-drinking. Crafted from grapes organically grown in Mendocino County, Bonterra’s Rosé is here and it’s here to stay. The Grapes: Picked specifically for our Rosé, organically grown Grenache and Syrah grapes are the main players in this wine. Harvested when sugar levels are low and natural acidity is high, these grapes ultimately contribute to a fresh and vibrant Rosé. The Method: Bonterra winemakers employ the “direct press” method to craft our Rosé, pressing the grapes as soon as they are added to the wine press to ensure that undesirable tannins are not extracted from grape skins. Reducing maceration time (the amount of time grape skins spend in contact with grape juice) also creates a lightly colored Rosé, pale salmon in hue. 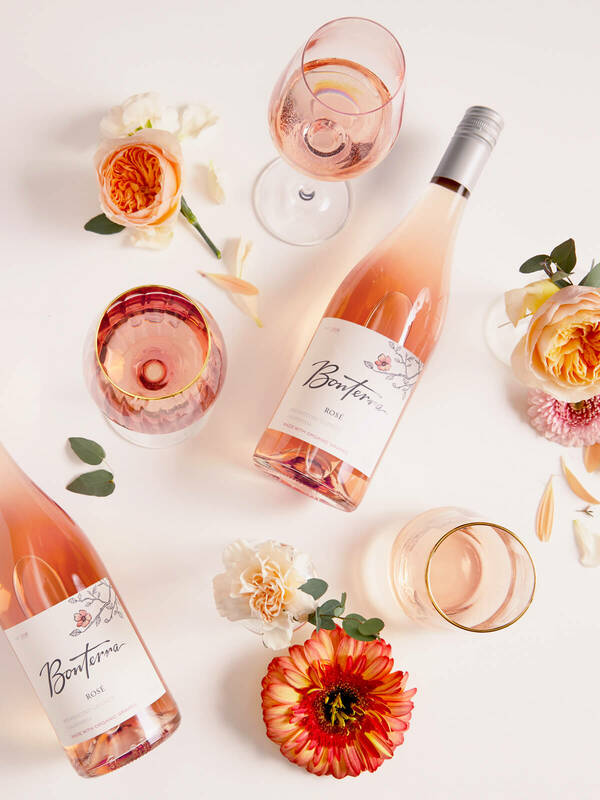 The Wine: With aromas of strawberry, rosewater, and pineapple, Bonterra Rosé encompasses not only the balance of flavor and character we seek in our wines, but the balance and harmony that define Bonterra’s winemaking ethos and organic practices as well. Cheers to Rosé all year ’round.